Say "I do" to our classical wedding musicians in the Atlanta area in Georgia for an unforgettable day of music, love, and joy. 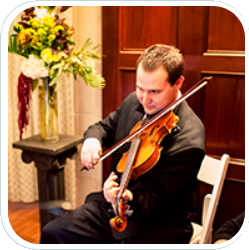 After telling Atlanta Sound Quartet about the reception and wedding music you've decided on, you can be assured that our wedding musicians will be warmed up and ready to play when you need us. We supply our own music, stands, and chairs! We have our own song list available for you to choose from, but we're more than happy to play any songs your heart desires. 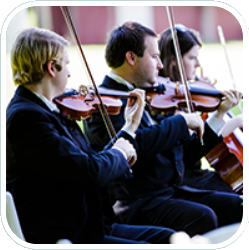 Simply tell us which songs you want us to play and allow us to find and arrange the music, then rehearse in time for your ceremony. We can provide this service for a flat rate of 25 dollars, which we will simply include in the final balance. 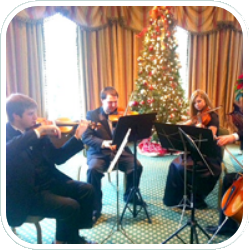 Contact our talented quartet for a free quote. "Brian and the Atlanta Sound Quartet were amazing! Brian was very helpful in our song selection for our ceremony. They also did a wonderful selection of classical music for our cocktail hour. They responded quickly to my emails and were very supportive of the wedding planning process. EVERYONE that attended our ceremony was thrilled with the live trio and offered tons of compliments. Atlanta Sound Quartet definitely made our ceremony unique and memorable. THANK YOU!!!!!!" 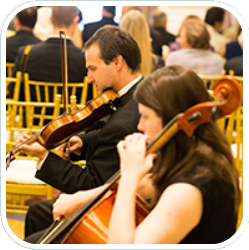 Would you like a sound system to mic up your string quartet or officiant? We can provide up to 2 mics (1 wireless, 1 normal "mic stand' style) and 2 loudspeakers for the entire ceremony! We only ask for $100 added to the final balance for this service. We just upgraded our sound system! We spent $2500 on wireless bluetooth Presonus speakers, and a wireless lavalier mic (the kind that attaches discreetly to the collar or chest). 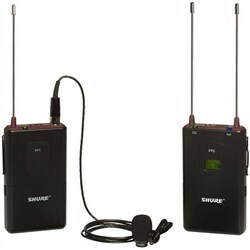 Here is a picture of our lavalier mic, it's called Shure SLX14/85 Lavalier Wireless System. 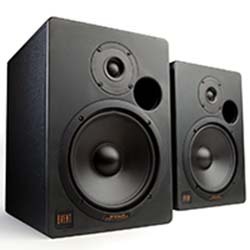 Want to see more great reviews of The Atlanta Sound? See them here!